When the Nike Foamposite One first dropped in 1997, it was like nothing anyone had ever seen before but people wore it in some impressive performances. The sleek $180 shoe had no Nike branding on the upper, save a small Swoosh near the toe, and the synthetic upper and prominent carbon plate gave the shoe a decidedly futuristic look, one that many sneaker designers still strive to achieve. With interest in Foams that never ceases to fade, here are 20 Things You Didn’t Know About the Nike Foamposite. Nobody thought it was possible. Like all great sneaker stories, the naysayers were a plenty. The Foamposite was one of the most unbelievable designs, so it’s probabaly not a huge surprise that everyone from designers at Nike, all the way to manufacturers in China, said that it couldn’t be done when the original idea was presented. The Foamposite was not designed for Penny Hardaway. Eric Avar didn’t design the Foamposite One Denim with Penny Hardaway in mind. 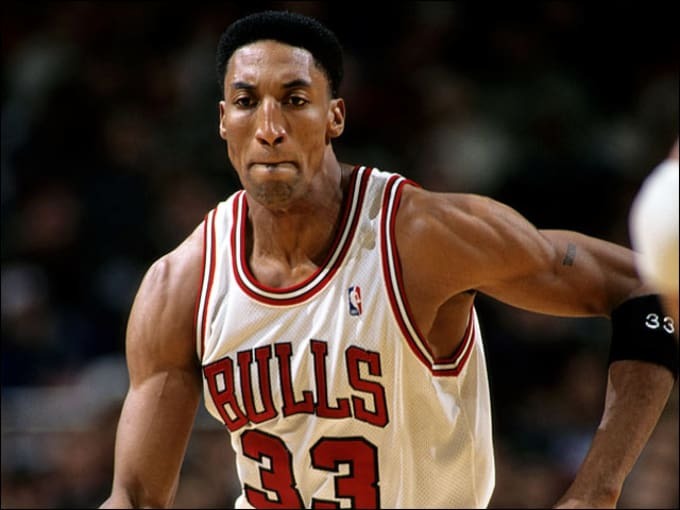 If the apocryphal stories are true, it was originally intended for Scottie Pippen (no word on whether it then would have been called the “Foamposite 33″). But in a session with Penny, where he wasn’t moved by any of the other designs, he saw the Foamposite in Avar’s bag, and the rest was royal blue history. 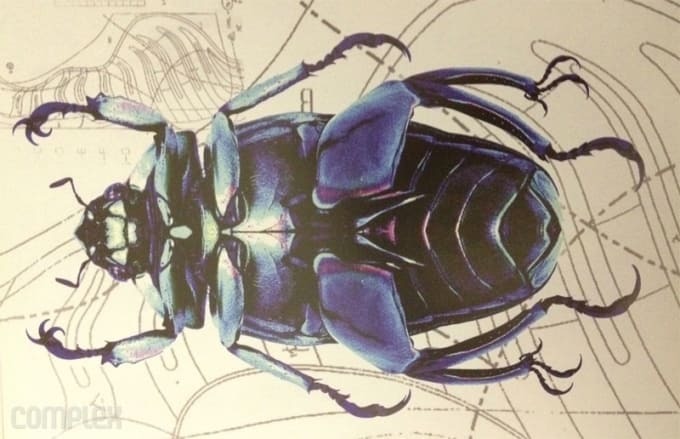 It was inspired by a beetle. Not the Volkswagen, but the little annoyances that wander around your garage, were actually part of the inspiration for the Foamposite’s aerodynamic features. People thought it would ruin the footwear industry. The design of the Foamposite was so absurd compared to the traditional usage of leather and rubber that many people actually thought Nike would ruin footwear with the design. Fast forward 15 years and now nearly everything is made out of plastic-based materials. It hasn’t seemed to keep anyone from buying sneakers yet, either. Daewoo was the company that made it happen. A number of companies were approached by Nike with the Foamposite concept. Many of them couldn’t come up with the correct formula to make it happen but Daewoo came through. Yep, the Korean company that makes TVs and cars were the ones behind your latest Foamposite purchase. The upper of the Foamposite begins as liquid. If the sleek, logoless shoe itself wasn’t enough to pry your $180 (plus tax) from your wallet, maybe the T-1000 backstory was. In order to create the Foamposite One’s seamless upper, the “foam” material started as a liquid, which was then poured into molds. How does that add up to $180? Well, the molds weren’t cheap. Read on. The perfect temperature is between 130 and 175 degrees. The average cost of the mold was $750,000. $750,000 for the mold alone. Considering that doesn’t include the cost of labor, packaging, shipping or marketing, you can see why the price of the Foamposite was steep. The midsole had to be 5 times stronger than a traditional sneaker’s. When the Foamposite was created, the process was so different that traditional ways of manufacturing had to be revamped. In order for the molded upper to stay attached to the midsole, it had to be 5 times stronger than traditional glue and stitching. So, in a way, the development of the Foamposite helped with other future technologies just by pushing the limits. The original price of the Foamposite One was $180. So, this might be something you do know but there seems to be some serious confusion amongst the always knowledgable group of Internet sneaker blogs. We’re just going to clear the air, the Nike Air Foamposite One retailed for $180 when it first released and the Nike Air Foamposite Pro retailed for $170. Eastbay catalogs don’t lie, bruh. Foamposites didn’t sell well at all. $180 price tags may be commonplace now, but back in 1997 that was a real jump. And when you put that price tag on a brand-new technology that doesn’t even feature the usual visible cues of “high-dollar” — like a Max airbag or a Jumpman or a yeezy 350 Static — it’s gonna be a tough sell. Fortunately enough people stepped up to keep Foamposite in the line. The NBA didn’t approve of the sneakers. The NBA said that the colorway wasn’t fit for the court because it didn’t have enough black to coincide with Penny’s Orland Magic uniform. Penny did what any sneakerhead would do, and busted out the Sharpie to fix the problem. Penny Hardaway didn’t debut the Foamposite One. Mike Bibby first hit the court as an Arizona Wildcat wearing the Royal Foamposites on March 23 of 1997. That same day, Penny Hardaway laced up his Nike Air Penny IIs. It wouldn’t be until a few games later that Penny finally laced up the Foamposite One with his Orlando Magic uniform. Penny Hardaway had white Foams 15 years before you. Penny Hardaway may not have been the first to wear his own signature shoe in a game, and he may have never worn them in an All-Star Game or NBA Finals, but at least he was getting exclusives before anyone else. The best part is that it’s been damn near 20 years and you STILL don’t have these. The phone number has been disconnected. One of the shoes to be featured in Nike’s simple - and brilliant - print ad campaign that simply showed a shoe on a white background with a Swoosh and a 1-800 number, the Foamposite One never looked better. Tragically, the phone number has been disconnected. We were hoping to get Lil Penny on the line, seeing that he still owes us for the dry cleaning from his Super Bowl party. Foamposites became the ultimate takedown model. The Clogposite is one of the most unexpected sneakers ever created by Nike — who turns a $180 shoe into a slipper? But don’t try to front in your new camo Foams this weekend, the O.G.s been rockin’ digi camo Foams, son. It was the first sneaker people were willing to trade their car for. Crazy sh*t happens when the hype hits all time highs. This dude really tried to trade his car — with a full tank of gas, even — for Galaxy Foams. This can’t be life. Copyright © 2014 Shadowville Inc.. All rights reserved. Shadowville, Shadowville Productions, and the Shadowville logo are trademarks of Shadowville Inc. 91 queries in 0.689 seconds.